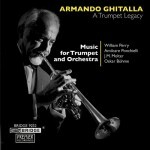 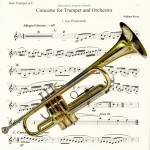 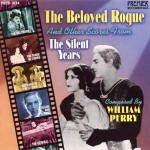 Music for Great Films of the Silent Era American composer and pianist William Perry is credited with playing a significant role in the revival of interest in films of the silent era. 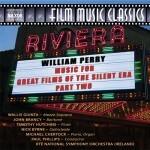 As Music Director of the Museum of Modern Ar..
Music for Great Films of the Silent Era Volume II Composer-Producer William Perry has played a major role in the revival of interest in silent films, both through his more than 100 silent film scores and through his Emmy Award-..
PERRY, W.: Jamestown Concerto / SCHUMAN, W.: A Song of Orpheus / THOMSON, V.: Cello Concerto (Hanani) This recording presents three important yet infrequently heard American cello works. 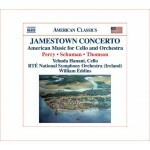 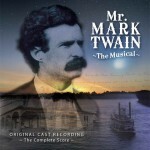 It is the..
FILM MUSIC CLASSICS WILLIAM PERRY The Innocents Abroad and other Mark Twain films THE SIX MARK TWAIN FILMS IN this recording present a series of exciting challenges i..
Mr. Mark Twain: The Musical Original Cast Recording ~The Complete Score~ Book by Jane Iredale · Music and Lyrics by William Perry This entertaining musical biography of Mark..
Armando Ghitalla: A Trumpet Legacy Armando Ghitalla, Trumpet Slovak Philharmonic Orchestra · Cappella Istropolitana William Perry, Conductor This CD is a tribute to Armando Ghital.. 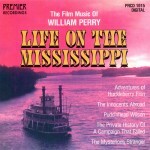 THE FILM MUSIC OF WILLIAM PERRY Life On The Mississippi And Other "Mark Twain" Film Soundtracks Conducted by the Composer This is the original recording of Willi.. 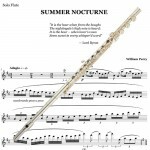 The Beloved Rogue And other Scores from The Silent Years Composed and Performed by WILLIAM PERRY William Perry, whose melodic and colorful scores are heard on this recording, was ..
Trumpet Concerto Performance Rental of Score and Parts ..
Trumpet Concerto Solo Part ..
Trumpet Concerto Piano Reduction ..
Trumpet Concerto Solo Plus Piano Reduction ..
Trumpet Concerto Percussion for Third Movt ..
Summer Nocturne Solo Flute Part ..
Summer Nocturne Piano Reduction ..
Summer Nocturne Solo Flute Part plus Piano Reduction ..